Our Mid-West/Mid-Atlantic Poultry Forage Blend contains a selection of legumes and forbs designed specifically for the cold, snowy winters and hot, humid summers of southern Minnesota, Iowa, central and northern Missouri, central and northern Illinois, southern Wisconsin, central and northern Indiana, Ohio, West Virginia, Pennsylvania, southern New York, Massachusetts, Rhode Island, Connecticut and northern New Jersey. 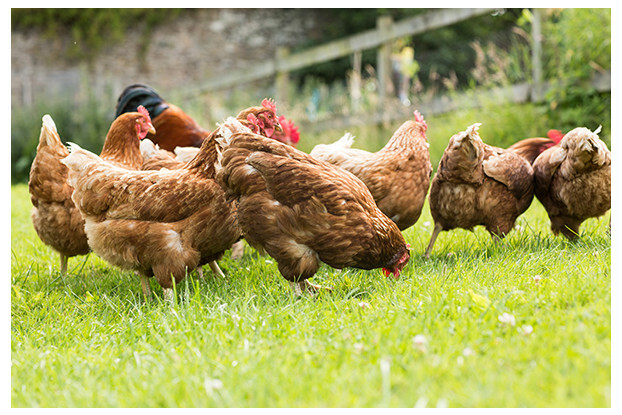 This blend produces excellent chicken forage that is naturally low-growing and nutrient-dense. It also contains common flax; a well-known source of omega-3 fatty acids. Ideal for large acreages or small backyard plots. Can also be used as a cover crop.